I have never been an early riser. It was always a struggle for me to get out of bed in the morning when I was young. My sluggishness likely had a lot to do with the fact that I hid under the blankets with a flashlight reading until the wee hours. As the morning sunlight lit my room my mom would call several times before my toes would finally slip over the side and touch the floor. Then it took a long time in the shower to really wake up before heading downstairs for breakfast. And when I got to the kitchen the refrain was always the same. I’d groan and trudge back upstairs, knowing there would be no breakfast until that small task was done. 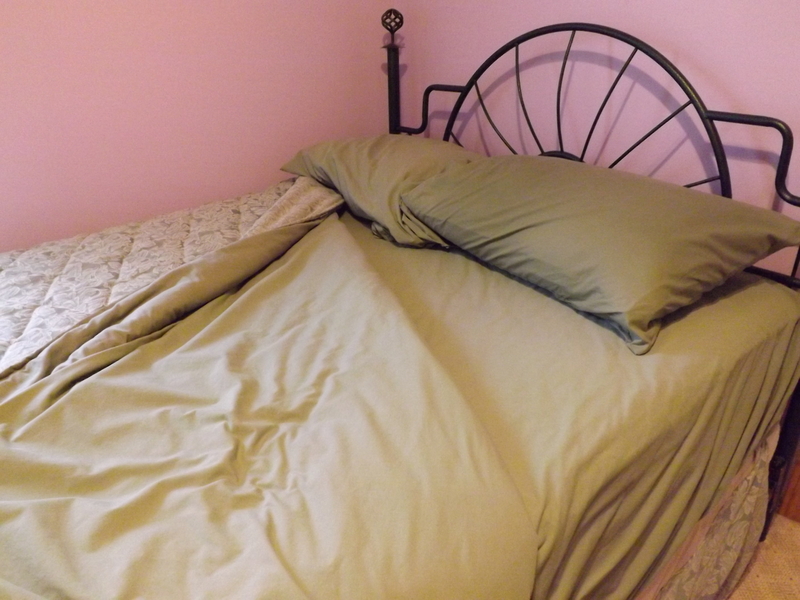 One morning I asked my mother why she always insisted that I make my bed. I couldn’t help but think about my mom’s words this past Sunday as my husband preached on Acts 9 verses 32-43. It was verse 34 that triggered the memory. Peter had stopped in the town of Lydda where a man named Aeneas, a paralytic, caught his attention. He stopped long enough to heal the man, saying, “Aeneas, Jesus Christ heals you. Get up and take care of your mat.” That last sentence made me sit up straight. Why did Peter tell him to take care of his mat? Was it in the way? Was it unsightly? Or was Peter saying something more to Aeneas? I wondered if perhaps he was saying, get ready Aeneas, a new day is beginning, things are about to happen and there’s a purpose for you in them. And that made we wonder about the purpose of the healing, the purpose of the blessing. God does not act randomly or without reason. His actions, and most especially his blessings, always have purpose. That made me think of all the blessings I’ve been given in my life. It’s a long list and the realization that it all has purpose made me begin to think about what God intends me to do. He’s given me wealth so I should share it, food and a home to open to others. He’s given me health so I can do His will on this earth. He’s given me family that I might raise them to go into the world and bless others. He’s given me the talent of writing so that I might glorify His name through story. All of his blessings have an outward slant, none are intended to be hidden or hoarded. My mother trained me well. Making my bed is still something I do each morning. It makes me feel that the day has started and I’m ready for it. This morning, as I did that quick and simple task I wondered what God had in store for me today. What am I to be ready for? Ready to hear his voice, ready to move when he says “go,” ready to speak when His Spirit directs. Yes, all of these things and more. I’m to be ready to receive His blessings and use them for His purposes. What about you? Have you made your bed?